Necessary Arts alumni Carlinea Holder performs the monologue My Brother. A suicidal schoolgirl, a raucous community meeting and a funeral that goes terribly and hilariously wrong were among the presentations at drama school, Necessary Arts’ graduation last Monday evening. 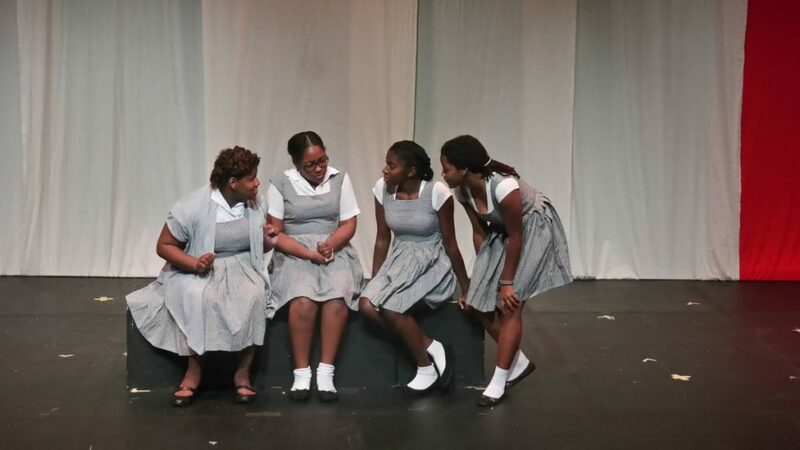 Ten graduates and six alumni participated in six pieces as part of Necessary Arts’ 21st Cycle–Trini Tales: Stories about us…told by us– held at Little Carib Theatre, Woodbrook. Artistic director Penelope Spencer in her note said the challenge is pushing the participants to go further in their acting careers by continuing to attend workshops, auditions and plays. A scene from the comedy Two Face. 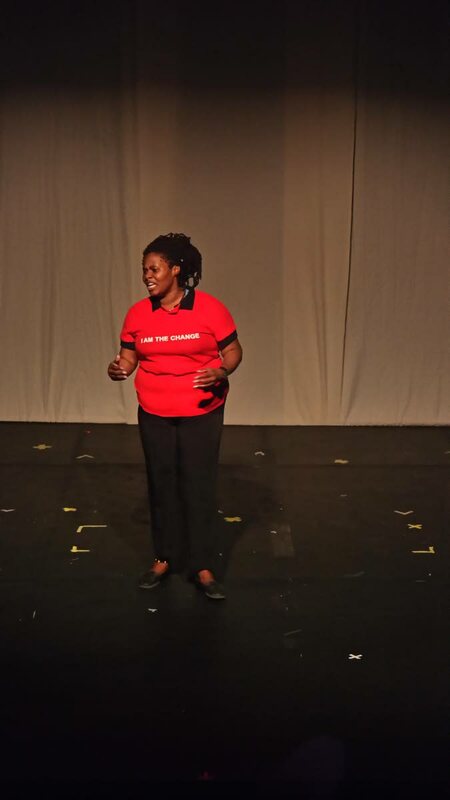 Spencer wrote five of the scripts while the sixth, a monologue titled My Brother, was written and performed by alumni student Carlinea Holder. In the moving performance, her character speaks about the troubled relationship with her brother which stemmed from an incident of abuse. Holder also incorporated real life local cases such as the murders of Akiel Chambers and Sean Luke. Things turned comedic with Two Face about a funeral featuring an assortment of characters including a frank old woman, a lecherous old man and the deceased’s vapid, self-absorbed materialistic wife. Leave Me Alone was about a wife (graduate Maritza Da Silva) recounting the abuse she faced at the hands of her husband. 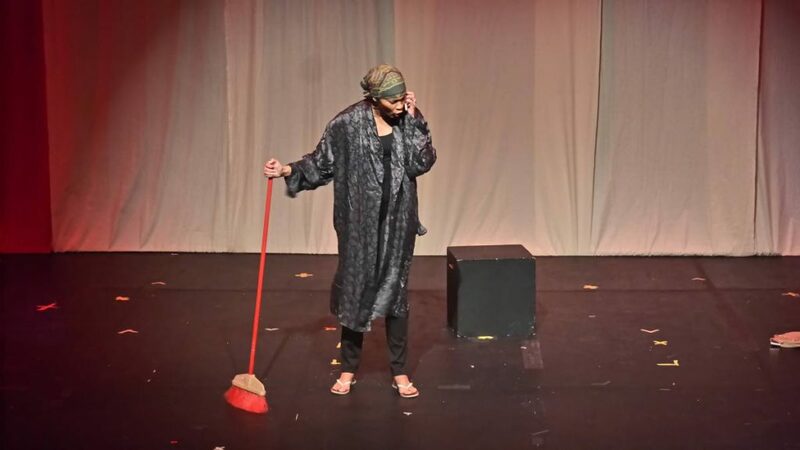 The scene ends with her confronting and leaving her husband to the tune of Calypso Rose’s song Leave me alone which has become a rallying cry against gender-based violence. Graduate Maritza Da Silva performs in Leave Me Alone. The strongest piece of the night was Escape. Graduate Tamia Thompson plays a school girl named Laura who attempted suicide after her father broke up her relationship with her working-class boyfriend. Thompson is gripping and realistic as she descends into the depths of despair under pressure from teasing schoolmates, an overly helpful hockey coach and her unsympathetic family. Comedy returned with the alternating monologue Caucasian Conundrum which featured graduates Zayna McDonald and Rebecca Elias. They spoke about the problems of being considered “white” in Trinidad including people assuming you are rich and being ignored by taxi drivers and health workers because “white people” do use public transport or public health service. The final piece was the uproariously funny A Community Affair about a community meeting on crime where very little time is actually spent on crime solutions. The meeting features an exasperated organiser, a distracted assistant, a secretary with a high pitched voice, a wise old woman, a mentally disturbed gun-happy young man, an insurance agent looking for clients, a bored ghetto girl and two man-hungry women. The motley crew of characters bounce off each other well and deliver laugh after laugh, as well as an underlying message of lost community values. A scene from A Community Affair. Among the student testimonials on the programme was graduate Chislon Dubar, one of only two men, who said Necessary Arts provided him with a very enlightening experience. 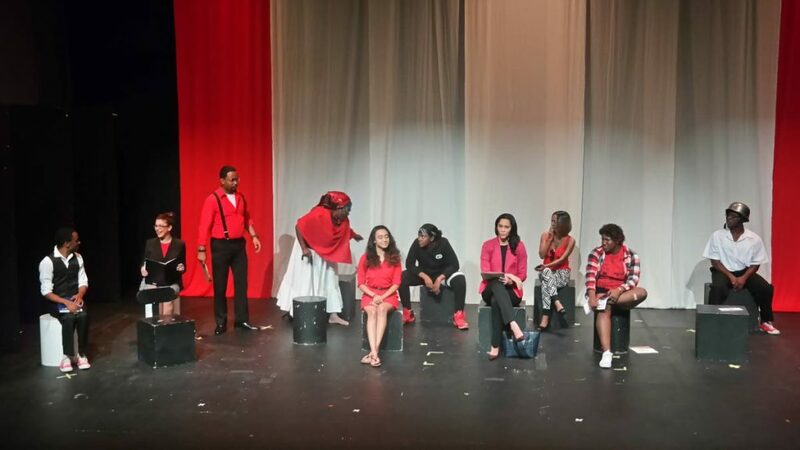 Tamia Thompson (second from left) performs in a scene from Escape. She announced they are planning to have another cycle after Carnival. For further information please visit their website at www.necessaryarts.org. 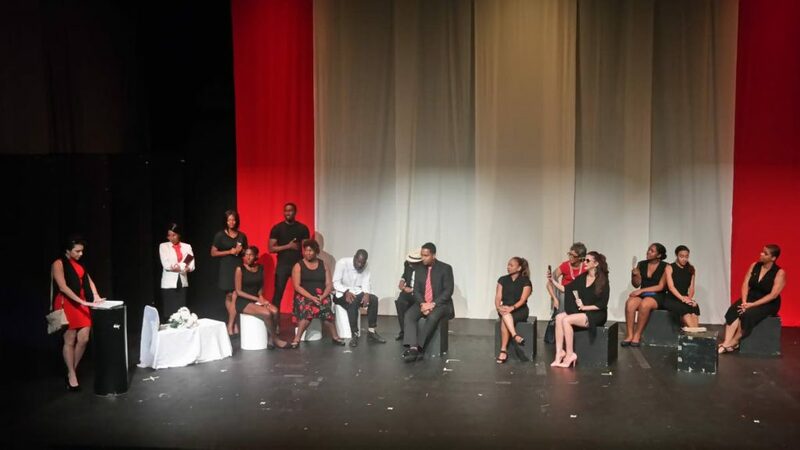 Reply to "Necessary Arts drama school graduates tell Trini Tales"